This paper examines lessons obtained by means of simulations in the form of agent-based models (ABMs) about the norms that are to guide disagreeing scientists. I focus on two types of epistemic and methodological norms: (i) norms that guide one’s attitude towards one’s own theory, and (ii) norms that guide one’s attitude towards the opponent’s theory. Concerning (i) I look into ABMs that have been designed to examine the context of peer disagreement. Here I challenge the conclusion that the given ABMs provide a support for the so-called Steadfast Norm, according to which one is epistemically justified in remaining steadfast in their beliefs in face of disagreeing peers. I argue that the proposed models at best provide evidence for a weaker norm, which concerns methodological steadfastness. Concerning (ii) I look into ABMs aimed at examining epistemic effects of scientific interaction. Here I argue that the models provide diverging suggestions and that the link between each ABM and the type of represented inquiry is still missing. Moreover, I examine alternative strategies of arguing in favor of the benefits of scientific interaction, relevant for contemporary discussions on scientific pluralism. I would like to thank Andrea Robitzsch for valuable discussions on epistemic and methodological norms, which inspired parts of this paper. I am also grateful to two anonymous referees, to Borut Trpin and to the audience of the MAP MCMP (Minorities and Philosophy at the Munich Center for Mathematical Philosophy) seminar where I first presented this paper, for valuable comments. Research for this paper was funded by the DFG (Research Grant HA 3000/9-1). Arnold, E. (2006). The dark side of the force: When computer simulations lead us astray and “model think” narrows our imagination—Pre-conference draft for the models and simulation conference, Paris, June 12–14. Accessed on October 31, 2018. https://eckhartarnold.de/papers/2006_simulations/node10.html. Beebe, J. R, Baghramian, M., O’C Drury, L., & Dellsen, F., (2018). Divergent perspectives on expert disagreement: Preliminary evidence from climate science, climate policy, astrophysics, and public opinion. arXiv preprint arXiv:1802.01889. Borg, A., Frey, D., Šešelja, D., & Straßer, C. (2019). Theory-choice, transient diversity and the efficiency of scientific inquiry. European Journal for Philosophy of Science. https://doi.org/10.1007/s13194-019-0249-5. Fleisher, W. (2018a). How to endorse conciliationism. https://doi.org/10.7282/t3-z234-rj23. Frey, D., & Šešelja, D. (2018a). Robustness and idealization in agent-based models of scientific interaction. British Journal for the Philosophy of Science. https://doi.org/10.1093/bjps/axy039. Frey, D., & Šešelja, D. (2018b). 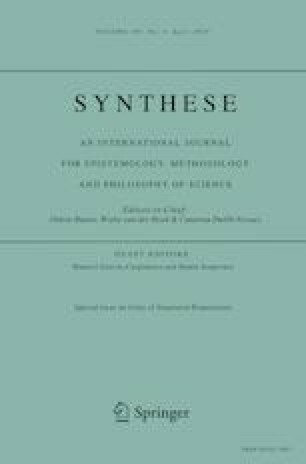 What is the epistemic function of highly idealized agent-based models of scientific inquiry? Philosophy of the Social Sciences. https://doi.org/10.1177/0048393118767085. Harnagel, A. (2018). A mid-level approach to modeling scientific communities. Studies in History and Philosophy of Science. https://doi.org/10.1016/j.shpsa.2018.12.010. Magnus, P. D. (2014). Science and rationality for one and all. Ergo. https://doi.org/10.3998/ergo.12405314.0001.005. Merdes, C. (2018). Strategy and the pursuit of truth. Synthese. https://doi.org/10.1007/s11229-018-HrB01985-xHrB. Šešelja, D. (2018). Exploring scientific inquiry via agent-based modeling (Forthcoming). http://philsci-archive.pitt.edu/15120/1/Exploratory_ABMs.pdf. Accessed 1 Dec 2018.